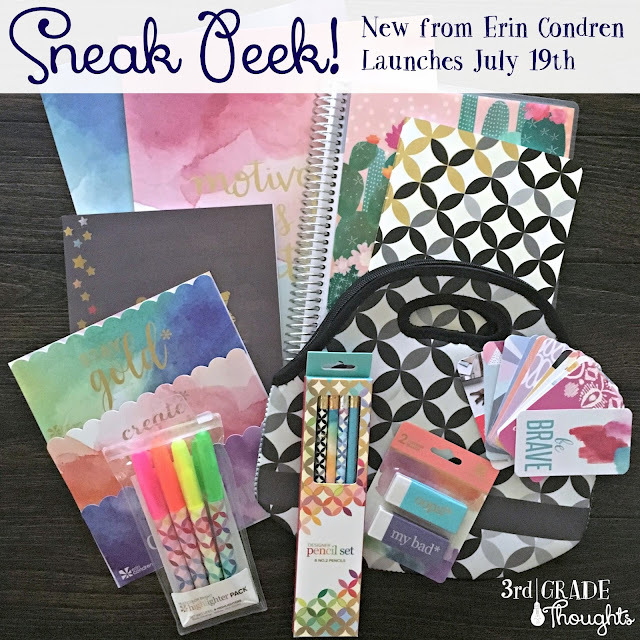 I was so fortunate to receive a box full of surprises from Erin Condren this week and I can't wait to share it all with you! 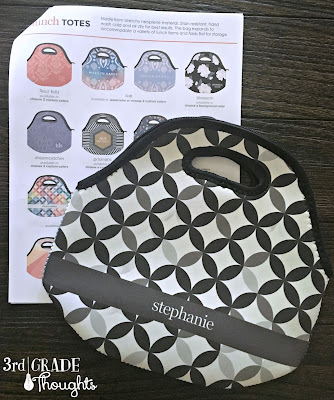 Launching on Tuesday, July 19th are some new accessories and a functional lunch tote to help make this upcoming school year even more fancy and fun! 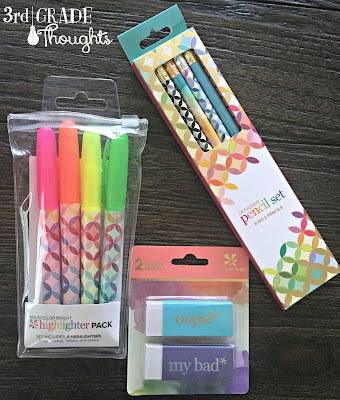 Pencils, highlighters, and erasers are the perfect companion to the rollerball pens and wet-erase markers! This lunch tote is personalizable and available in nearly every pattern and design! I use these planner stickers a lot and love the extras that will help keep me even more organized this year. Some things are familiar, some are brand new! My favorite is the lunch tote and the two-pocket folders. Both will be well-used throughout this upcoming school year and I am absolutely *LOVING* the new notebook with lined pages and a separate bullet list on the side! 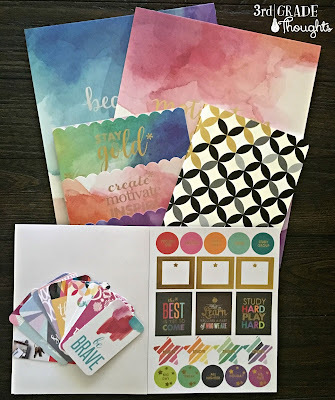 For $10 off your first Erin Condren order, click HERE.